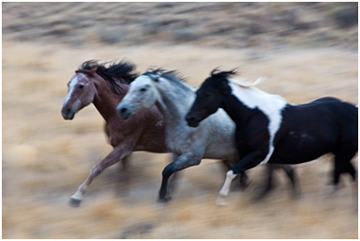 Horses, like most animals, are authentic in nature and are devoted to survival. They rarely have any intentions other than the drive to be truthful to their origins. As a herd animal, they are committed to their herd and depend on them to survive. We believe that the more we observe herd behavior, the better we will be able to understand how to harness the horses’ potential to be great partners with their human counterparts. At AH Horsemanship, we believe that whoever works with and trains our horses and riders needs to have the 3 C’s of Character, Conduct and Competence. One cannot train for Character or Conduct, but one can train for Competence. The more Competence one has, the more Character and Conduct it takes to use the Competence in a positive, responsible manner. According to us it is about being Authentic. Horses are authentic and because any leader of the herd has the best intentions for the herd (Character & Conduct) they have the Competence and skillset to be a good leader. This principle of The 3 C’s is also how we hire our team of leaders, our crew and how we partner with others. 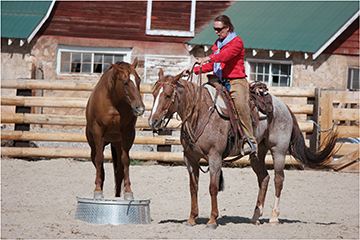 The idea of AH Horsemanship and adding a dedicated Horsemanship and Clinic Center at The Trapper Creek Ranch started at The Hideout Lodge & Guest Ranch, our sister ranch also located in the hamlet of Shell, Wyoming – East of Cody and Yellowstone National Park. 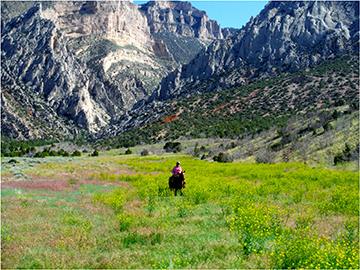 The Hideout (www.thehideout.com) is an upscale riding and horsemanship guest ranch. At The Hideout we have the privilege to listen, talk, learn and ride with visitors from around the world. They come from different walks of life and there is a rich variety of riding levels and equestrian experience ranging from beginners to intermediate and professional riders competing in the global arena. 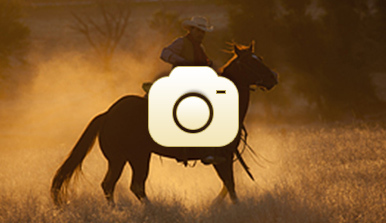 All these people share a passion for riding and horses. Guests of The Hideout also have a wealth of information, ideas, feedback, opinions and experience to offer. At the same time, our team of equestrian staff and management have witnessed repeatedly the results of inadequate horsemanship. In addition to this, we noticed more and more that after the riding experience at The Hideout, many of our guests are hungry to learn more. To spend time working on becoming more proficient in the art of horsemanship and to improve their riding skills and balance. 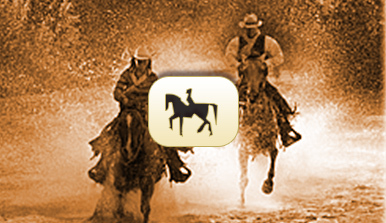 To learn more about horsemanship through ground work, liberty, free style and online techniques. In addition to those skills, people want to learn more about cowboy dressage, communicating with horses, working with Mustangs, young horses, etc. Because we care so much for our herd of 100+ horses at The Hideout, we wanted to continue to learn more about horses, horsemanship and communicating with horses and people. In order to accomplish those goals, we have worked with many trainers. 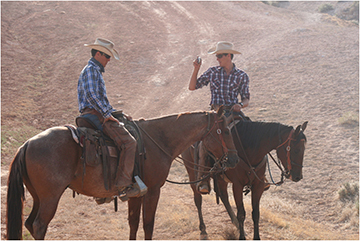 The crew at The Hideout are professionals in horsemanship and matching horses to riders. 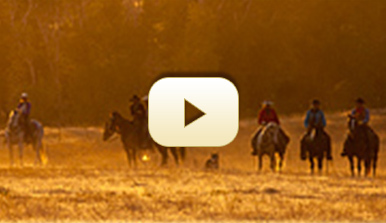 However, a great Wyoming riding and guest ranch vacation is different than a weeklong clinic dedicated to in-depth training in horse communication and horsemanship. Through this experience we began to build our clinic center at The Trapper Creek Ranch and have been working closely with Farrah Green for several years. For 2018 we are proud to share that Farrah will spearhead our 2018 Clinic Season at The Trapper Creek Ranch. The clinics will be limited to four participants per week. You can read more about Farrah Green on this website. How do we select our trainers? Demonstrate a commitment and willingnessto continually improve the relationship between horse and human and have the ability to improve this communication through clinics and training.